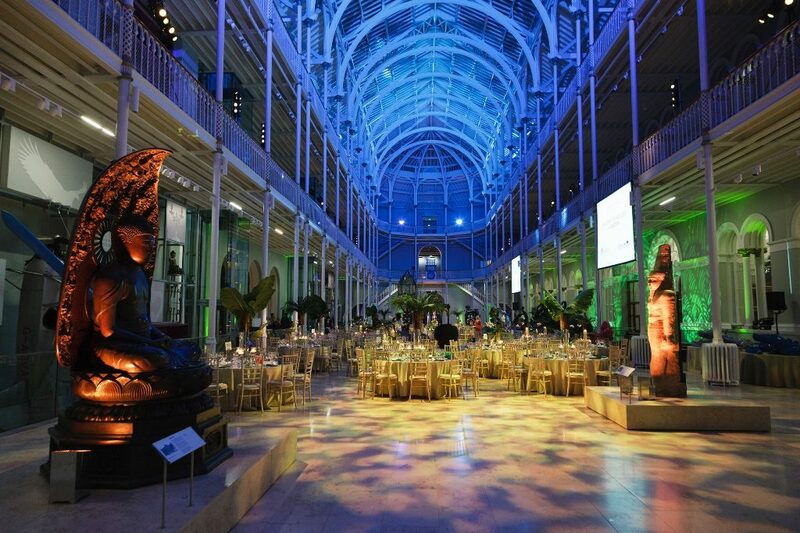 The ticketed Conference Dinner will take place at the National Museum of Scotland. www.nms.ac.uk. Delegates will be welcomed with a sparkling wine and canapé reception before taking their seats for dinner in the stunning original Victorian hall of the Museum. The Society of Antiquaries of Scotland was formed in 1780 to collect the archaeology of Scotland at the very heart of the Age of Enlightenment. Some of the objects of those early collections can still be viewed in the current museum galleries. In 1855 an Act of Parliament established the funding for the building of an Industrial Museum of Scotland to store and display such collections. It was opened in 1861 in new premises on Chambers Street designed by the renowned Victorian architects Francis Fowke (1823-1865) who also design the Albert Hall, parts of the Victoria and Albert Museum and the Natural History Museum in London. Laying its foundation stone was Prince Albert’s last public engagement before his death in that December. In 1864 the museum was renamed the Edinburgh Museum of Science and Art, and was opened as such in May 1866 by Victoria’s second son, another Prince Albert. In 1904 the Museum was renamed again as the Royal Scottish Museum and nearly 100 years later the Museum expanded into a major extension in a new building on Chambers Street designed by architects Benson and Forsyth and opened in 1998 by Queen Elizabeth II. In 2006 the museum was renamed the National Museum of Scotland and in 2008 two thirds of the Museum was closed for the largest refurbishment in its history that transformed it from a Victorian museum into a vibrant museum for the 21st Century. By July 2016 the museum had opened ten new galleries, four on Art and Design and six on Science and Technology often displaying objects that had not been on display for a century. This is the building you will be dining in a year after the opening of these stunning galleries.